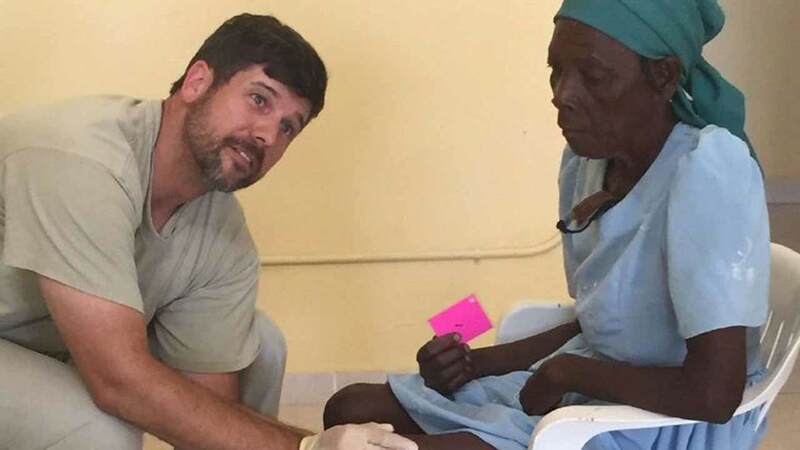 HUMBLE, TX -- As many Americans were busy planning summer vacations, Jake Hicks of Humble was saving lives in Thomazeau, Haiti. In May, Hicks and a group of his fellow church members from the Memorial Church of Christ embarked on a week long mission trip for LiveBeyond - a faith-based organization, founded by Dr. David and Laurie Vanderpool, to provide healthcare, education, and sustenance to the impoverished in Thomazeau, Haiti. "It's a chance to help out the Haitians," Hicks said. "It's about delivering a good message and helping to change the community. From the Vanderpools' perspective, it's not really helping out the Haitians by just giving them a handout. They actually teach them how to take care of themselves - which is a bigger thing to do for these folks." This was Hicks' first mission trip since his recent retirement from the United States Army.